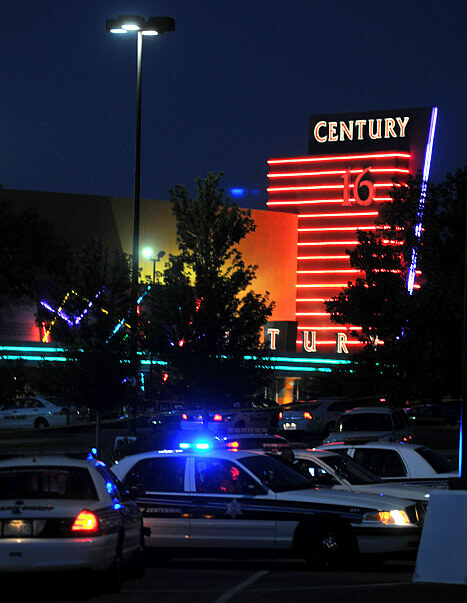 In the aftermath of the deadly shooting at a midnight screening of The Dark Knight Rises in Aurora, Colorado, stars are taking to Twitter to share their shock and condolences after the tragedy. 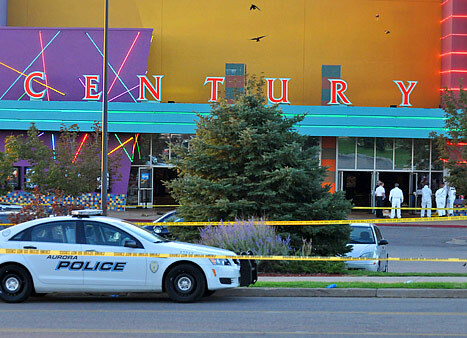 A masked, heavily armed gunman (suspect now identified as 24-year-old James Holmes) killed 12 and injured 38 people after he tossed a canister of tear gas and opened fire at Century 16 Theater, according to authorities. The studio released the following statement after the tragic shooting: "Warner Bros. is deeply saddened to learn about this shocking incident. We extend our sincere sympathies to the families and loved ones of the victims at this tragic time." President Barack Obama issued a statement as well as addressing the nation from the Event Center in Fort Myers, Florida. "Michelle and I are shocked and saddened by the horrific and tragic shooting in Colorado . . . As we do when confronted by moments of darkness and challenge, we must now come together as one American family," Obama, 50, said. "All of us must have the people of Aurora in our thoughts and prayers as they confront the loss of family, friends, and neighbors, and we must stand together with them in the challenging hours and days to come." Kim Kardashian: "Just landed in Miami and heard the tragic news regarding the shooting in Aurora. This is so devastating and beyond words. Nothing is worth causing so much pain to so many people. I&apos;m angry and heartbroken." Jessica Simpson: "Praying for the victims and families of those involved in the shooting in Colorado. My heart is broken. So awful. God Bless. . . "
Eva Longoria: "My heart goes out to all the people affected in the Aurora, Colorado shooting. May God be with that town and their families . . . "
Chris Evans: "What the hell is happening? My heart is completely shattered. All of my thoughts and prayers are with the people of Aurora." David Hasselhoff: "My heart goes out to all the parents and friends of the lovely people in Colorado. Please stop, close your eyes and say a prayer for them!" Giuliana Rancic: "Chills and tears watching coverage of Aurora shootings. Praying for the innocent lives lost and those in hospital. What a tragedy." Donald Trump: "At least 12 dead and 50 wounded in Colorado — bring back fast trials and death penalty for mass murderers and terrorists." LeBron James: "Its just not fair that innocent people have to lose their lives over someone&apos;s selfish stupidity acts! My stomach is hurting over this." Hayley Williams: "In shock reading about what happened at the theater in Aurora, Colorado… Could have been any of us. My heart is heavy for everyone affected." John Stamos: "What devastating news to wake up to. My heart is with everyone involved in the Aurora theater shooting. What the world needs now is…"
Kristin Cavallari: "Wow . . . waking up to news about the shooting in Aurora, Colorado. My heart goes out to all the families. So sad." Tyrese Gibson: "These are really the end of our days. People devious crimes are getting worse and worse . . . In a theater? My prayers to the family I&apos;m so sad." Billy Ray Cyrus: "Oh no! Just woke up and turned on the news &apos;14 dead 50 hurt in Batman movie shooting.&apos; Praying for victims. So sorry and sad." Cheryl Burke: "My heart goes out to all the families and victims in Aurora, Colorado. This is insane!" Melissa Gilbert: "Just saw news about shooting in Colorado. Stunned and saddened. Prayers to all." Ashley Tisdale: "Saying a prayer for Aurora. So sad to hear the news. You are all in my thoughts." Brooklyn Decker: "Reading the stories of victims and witnesses. It&apos;s horribly sad. Can&apos;t imagine how these people and those close to them feel. My heart goes out." Nicole "Snooki" Polizzi: "My prayers go out to the victims and families of the Colorado theater shooting. Justice will be served." Bethenny Frankel: "The news from Denver is unbelievable. My thoughts and prayers are with the families that have been affected." Kaley Cuoco: "Colorado OMG . . . Praying for the families…this is sick."